The first violin part for Ravel's La Valse has been edited by Richard Roberts, concertmaster of the Montreal Symphony Orchestra. Roberts' bowings, fingerings and other editorial markings have been added throughout the score. Ravel wrote La Valse between February 1919 and 1920. Originally conceived as a ballet, it is now more commonly heard as a concert work. It is Ravel's tribute to the waltz form and also known as a choreographic poem for orchestra. 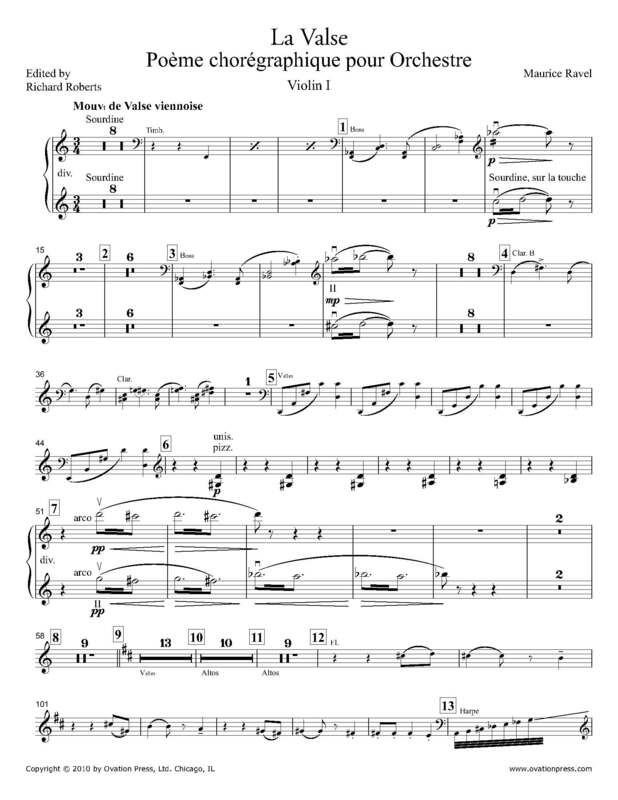 Download and print the score today to gain access to expertly edited Ravel La Valse violin fingerings and bowings from Yizhak Schotten!